We approach the United Nations today not just to speak for ourselves, but to speak for all the Nations of Latin America. A cancer is infecting the body of Latin America, and that tumor is Cuba. Six years ago this pest almost brought the world to an end in a nuclear crisis. Now it appears the Tumor is metastasizing. Cuban funded terrorists have attacked the legitimate governments of Bolivia, Mexico, and even my homeland of Uruguay. We call upon the United Nations to act with a united resolve to reign in this infection. We ask that the general assembly condemn Cuba's funding of terrorists and Guerillas. The use of terrorism by any group, state or non-state, is deplorable and unacceptable. France votes yes. Likewise the United States votes yes, and urges all truly democratic nations to do as well. Although far off, Iraq is necessarily concerned at these developments as they risk a renewed period of tension in the Americas which may again endanger global stability. However we are concerned at the wide remit of the proposed resolution. Undoubtedly the evidence of Cuban actions in Mexico is most forthcoming, with the evidence put forward by the Uruguayan government appearing to be persuasive as well, if not to quite the same degree. Yet we are concerned at the inclusion of Bolivia and the generalisation of "Latin America" in this resolution. Undoubtedly there has been an increase in activity in the region, but pending any fuller investigations it seems premature to ascribe blame to the Cuban government for every incident in the region. Perhaps the delegate from Uruguay would be content with rewording their resolution to focus primarily on actions said to have occurred in Mexico and their own country, as those are the most certain? Yes, Israel stands against state-sponsored terrorisms on all forms. The Republic of Cuba condemns this ill-intentioned resolution in the strongest possible terms. Once again the Yankee Empire's running dogs have all come together to speak out against a familiar enemy: People's Power and Socialist Revolution, two forces that in our dear and beloved Latin America it is us, the honorable and fearless Cuban people, who have the honor of embodying at present. This is not the first time that our Revolution has been attacked by these regimes, the same regimes that have broken diplomatic relations with our country for having the unspeakable audacity to challenge the corrupt Imperialist socio-economic order in which the continent's wealthy minorities sell out their own peoples to the corporate slave-runners of Empire. In exchange, the Yankee has for more than a century now felt entitled to intervene in our beloved continent (indeed, to treat it as his "back-yard") sowing death and destrucion wherever he goes: be it in the 19th Century aggressions against Mexico and interventionism in our own beloved Cuba, in the first half of this very century when he invaded our Haitian brothers in the Caribbean or a little further south when he sent his marines against the immortal Sandino, or through countless intrigues, acts of sabotage and coup d'etats, such as the bloody destruction of the legitimate Guatemalan government of Jacobo Arbenz, a vicious display of imperial brutality and Power that still burns bright on the People's memory and so clearly disturbed the late geat Comandante Che Guevara, and is especially egregious for having so clearly been done for the benefit of the powerful Yankee United Fruit Company, whose commercial interests would have been affected by Arbenz's modest plans for land reform. It goes without saying, but the paramilitary invasion of Guatemala and the accompanying slaughter of its reformists peasants were carried out on the orders of the then Secretary of State of the United States, Joseph Foster Dulles, who also happened to be a lawyer on the payroll of the United Fruit Company, and orchestrated by the head of the CIA at the time, his brother Allen Dulles, who was actually in the United Fruit Company's Board of Directors! Such is the "goodliness" of the Northern neighbor towards the impoverished South. We mention this history as we have many times before precisely to remind everyone that it is Cuba, ladies and gentlemen, brave revolutionary and socialist Cuba, the country that has time and again used its place in the world stage to speak out against the crimes committed by Imperialism against the peoples of Latin America. Our nation has taken up the task of standing up for the Patria Grande and maintain the fire of remembrance ever-burning while these very regimes who now hypocritically accuse us of terrorism stood by silent. Who is the real aggressor here? The People that has finally broken the shackles of ancestral oppression and now walks its own path? Or is it the regimes who have for over a century been complicit with an Imperialist reign of Terror, jailing and torturing and murdering every dissenting voice across América so that the rich may stay rich and get even rcher, while the poor stay starving and forever keep dying? The answer is very clear. It is no secret that the great powers and their intelligence agencies have the means to falsify information and, as they put it, "frame another nation" for any and all occurrences they so please. Cuba denounces this brazen attempt to punish our People for the faults of the capitalist regimes, who in their incapacity or unwillingness to meet their peoples' legitimate demands now attempt to further isolate and smash the light of revolutionary socialism in Latin America. 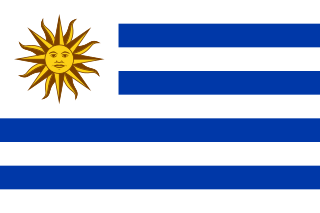 In the name of Che Guevara, Camilo Cienfuegos, José Martí, Augusto César Sandino and countless other revolutionaries and freedom fighters who have over the years chosen to fight alongside their people against tyranny intead of upholding it, I say to the ambassador from Uruguay: shame on you, señor! Members of the United Nations, I fear that Tanzania cannot support this resolution. Do not mistake me, we condemn all acts of terrorism wholeheartedly, and if the Cuban government is believed to be sponsoring such, we cannot help but ask our friends for their reasoning, and pray that they see reason instead of aggression. But this resolution? It asks too much on the basis of too little. To begin with, Cuba has been accused by multiple nations of aiding left-wing insurgents, but it is only the Mexican government who has offered only definitive proof - nothing in the recent news has suggested that the Bolivian insurgency is being supported by Cuba, merely that they share an ideology, and the Uruguayan government has offered no more than accusations to back up their claims. And while we do not, as stated, condone Cuba's actions in Mexico, one must remember another fact: the Mexican government has an equal history of provocation, but geared towards their own people...or has the world forgotten the massacre at the Instituto Politécnico Nacional, when the Mexican government deployed soldiers to suppress the student movement? Therein lies the origins of the present situation in Mexico, and even if Tanzania were willing to overlook the lack of evidence presented to the United Nations on the part of Uruguay and Bolivia, we cannot vote on an action that pledges intervention -intervention, of the sort that has turned the Cuban Revolution towards the open arms of the Soviet Union, enemies of those who presently support this resolution!- against the government of Fidel Castro without also examining the root causes of these Latin American insurgencies. Or has diplomacy failed already, when our friends in the United States, who so recently answered our call for East African development, immediately and without debate support threats to Cuba's own sovereignty? Or France, our dialogue partner, who seeks immediate condemnation of the Cuban government whilst calling upon the East African Community to utilize diplomatic channels with the Rwandan government without advocating the same with Cuba? Mwalimu Nyerere is fond of that Briton playwright, Shakespeare. At times I can understand this fascination, gentlemen, for I say to you all today: something is rotten with the state of the United Nations, when nations that purport democracy and dialogue -nations that Tanzania considers valuable partners economically and diplomatically- can wholeheartedly ignore the repression which they foster and the hypocrisy of supporting interventionism only when it suits them. We do not support Cuba's actions in Mexico, friends, but we do not support such methods of labeling them, in essence, terrorists themselves. One would think the European and North American nations of the world would have learned this lesson, as well as those Latin American governments who support this measure, or need I remind my colleagues of the teachings of the late President Kennedy? Tanzania does not want to make peaceful revolution impossible, but those who would propose this bill certainly make violent revolution inevitable. We will vote no, and instead recommend that this motion is tabled in favor of a direct, honest dialogue between the Cuban government and those who feel wronged, and will support no resolution that advocates for another disastrous intervention in Cuba. It seems to us that the Cuban and Tanzanian delegates read far more in the text than there is, and make leaps of logic far greater than those that would propose it. To speak of military intervention when no other has brought it up is quite something else... not to mention a failure to condemn terrorism even in cases with proven guilt even by the standards of an idea of law that believes the ends justify the means. Such a great mass of words may be deployed as a smoke-screen, to obfuscate and even, shamefully, to blame the victims for being attacked by terrorists, but France does not believe that this body of the United Nations will be so easily deceived.